Since the Daytona is being run tonight under the lights how about a NASCAR picture? 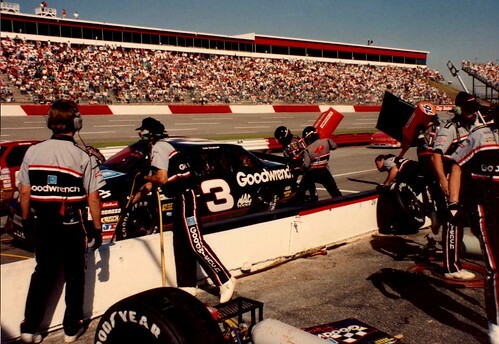 I took this picture of Dale Earnhardt pitting at Rockingham in 1992. This was during a Busch series race.